We’ve had all our Duck Tapes out as we picked up a few more at the weekend – Disney Frozen Duck Tape anyone? 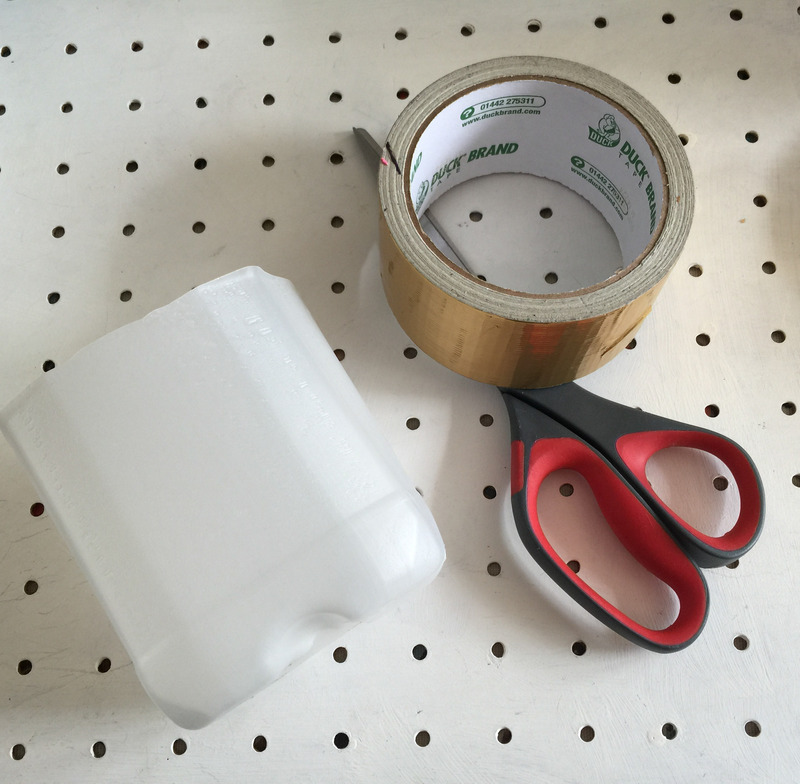 We’ve been re-organising our craft supplies and I thought we would use some of our Duck Tapes to make containers. First find a couple of different sized milk bottles and wash and dry them. Then carefully cut the top from your milk bottles with a pair of scissors. 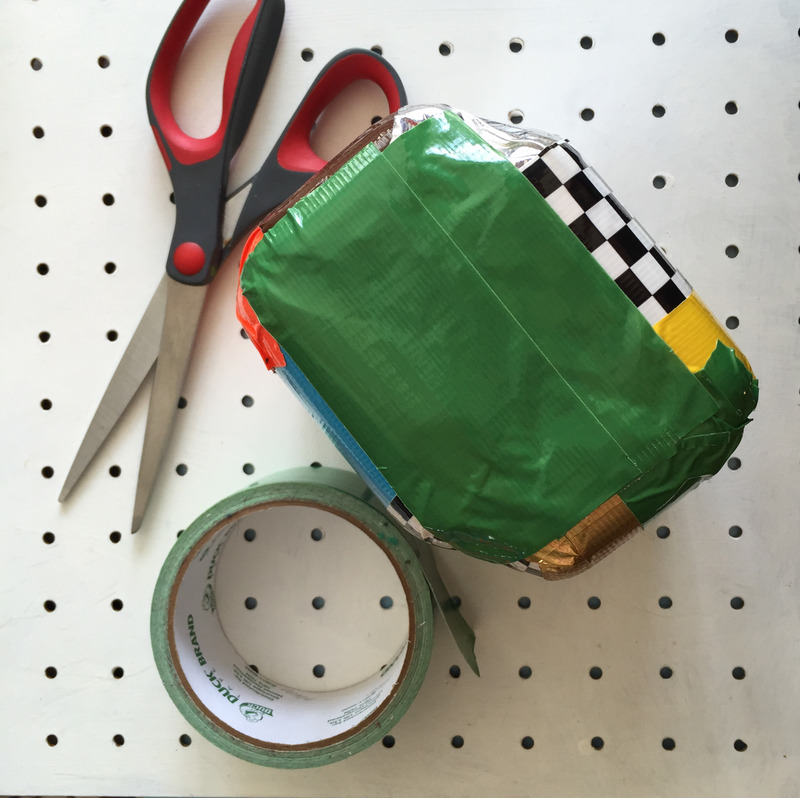 Cut small strips of Duck Tape and cover the container, make sure there is enough to fold over the top edge to cover any sharp edges. 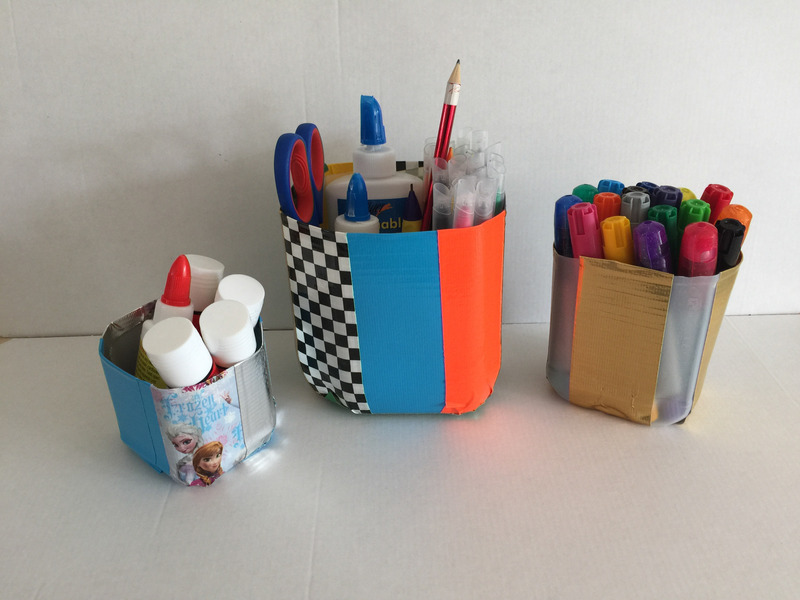 My son chose a fun black and white tape called Checkmate but he mixed it up with every colour he could find to make a really colourful container. After we had completely covered the container we added a small piece to cover the loose ends at the bottom. These containers are really useful and you can decorate them any way you like. We each made one – can you guess who made which? That’s a fab idea, they look so pretty. We only have one pretty duck tape, I might have to get some more.